Possibly one of the coolest vehicles mego ever produced. 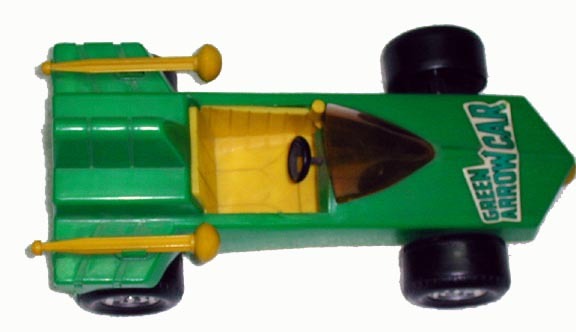 It is surprising that Mego gave this supporting character a vehicle perhaps it was due to the influence DC had during the mid seventies in product development. They were the ones behind developing the Wayne Foundation and the Jokermobile as well. What ever the case may be it’s a welcome addition to the line. Complete false advertising on the box, GA can’t sit in the car without removing his backpack which would most likely break it. It does however shoot the missile across any TV room. 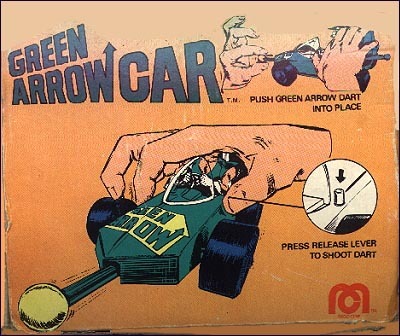 Seventies Oliver Queen would have probably had to hock the Arrow car for food and the average collector will have to hock something to purchase a MIB Arrowcar. 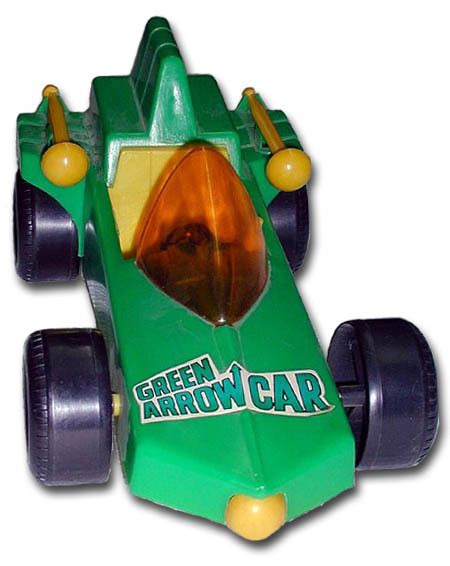 The rarest of all vehicles the Arrow car is usually found loose minus the missiles and windshield. If the opportunity arises to purchase one do so, it’s a killer piece.